The theme is prepared for a variety of uses. From simple blog to a magazine site. 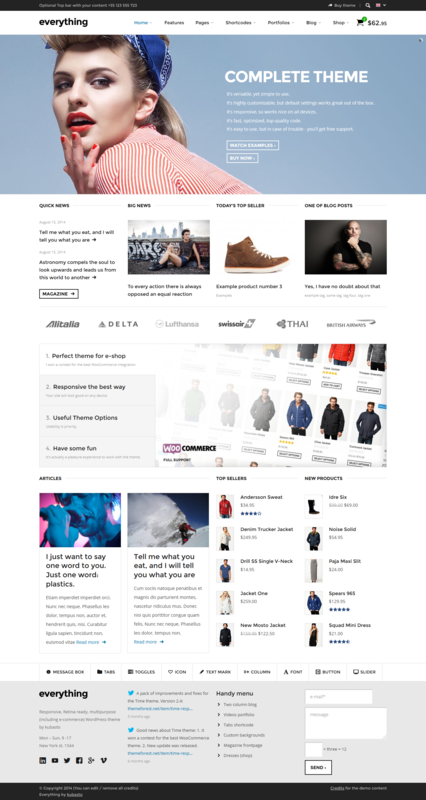 I’ve won a contest for the best implementation of the WooCommerce plugin. 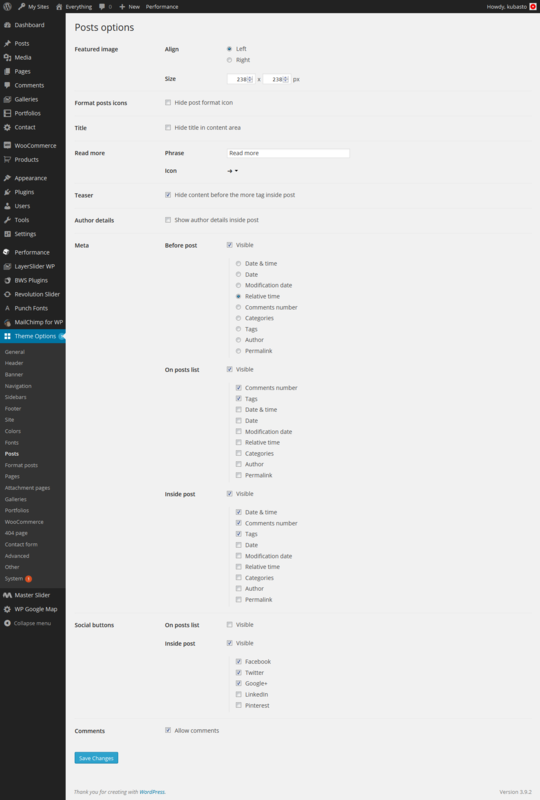 Everything theme means 100% WooCommerce support + some theme-specific bonuses. 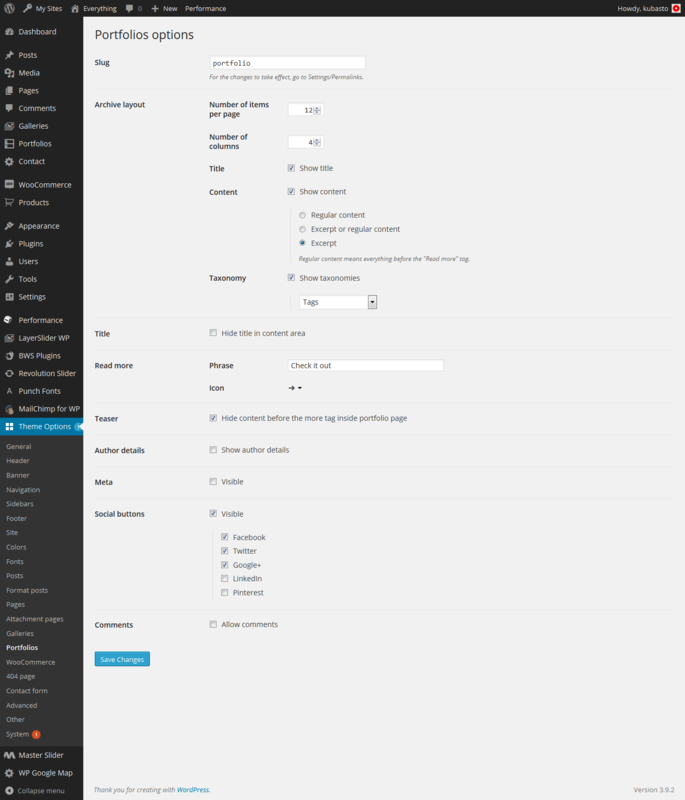 The key concept of the theme is that most settings can be set globally, and additionally you can customize them for selected parts of your site. For example: you can set a banner for the entire site, then you can set another one just for portfolios, and also set another one for a specific portfolio item. Everything is a responsive theme, which means it adapts to the device on which it’s displayed. 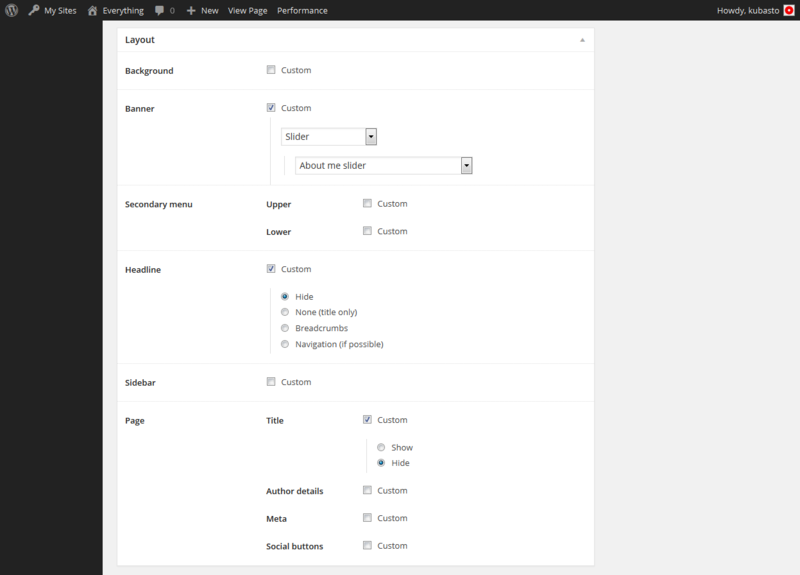 The theme cares for your content so it looks great on all devices, but you can also decide to show part of a content on one version only and hide on other. 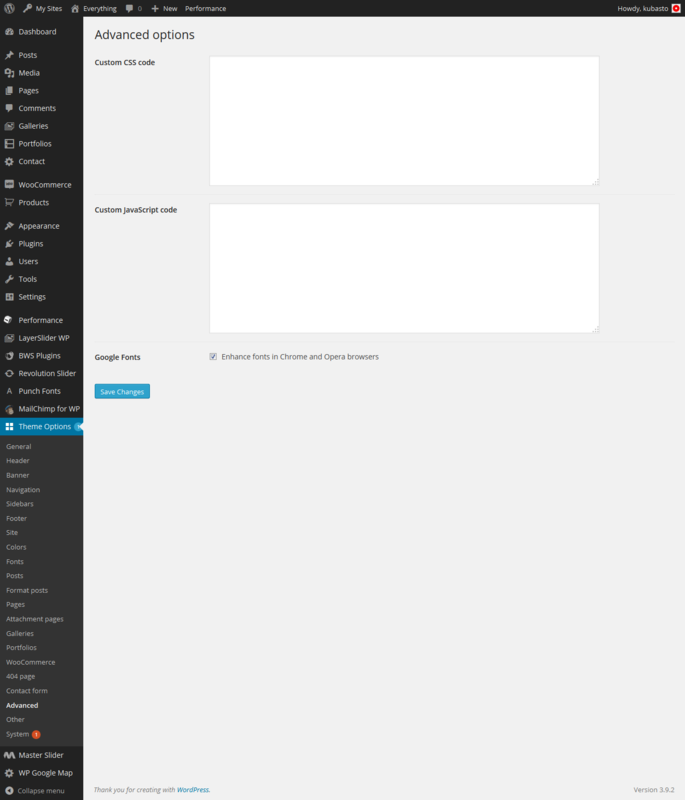 Boxed and opened layouts can be set for the whole site, for some part of it (for example just for a shop or a specific category) or just for one page. 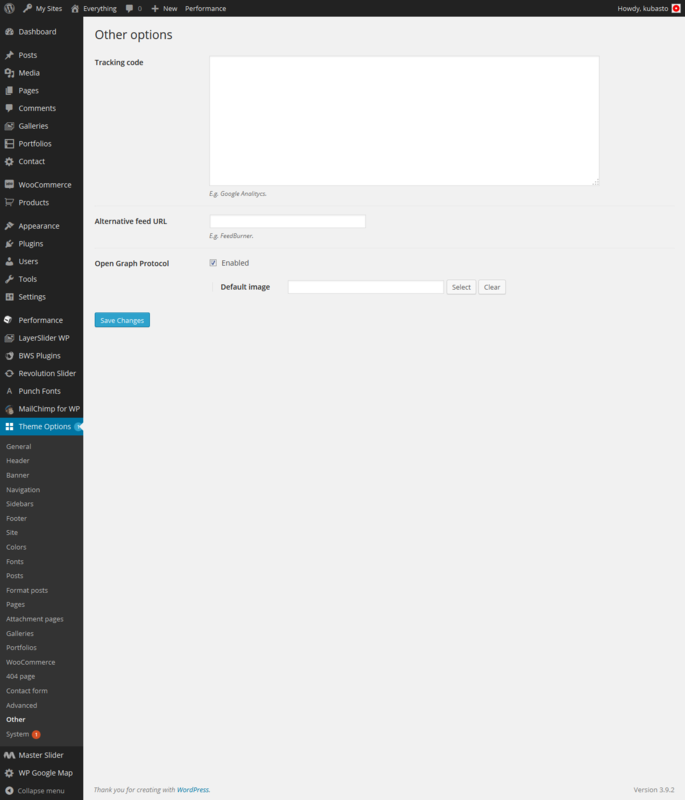 Sidebars, footers and banners are configurable independently and work seamlessly with both those main layout concepts. You can select your favorite one, use all of them at once or ignore them. 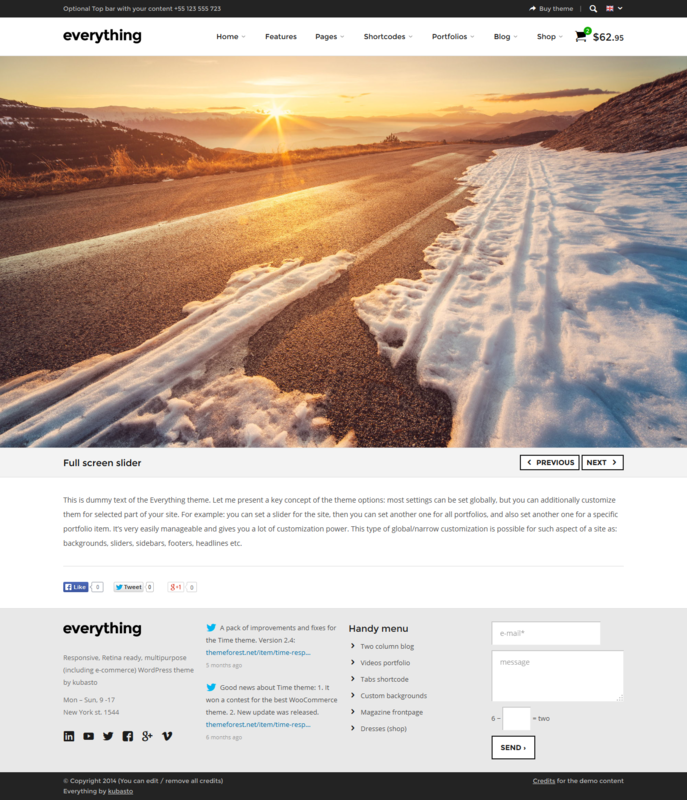 For a simple photo slider, you can use one of the theme’s gallery styles, which creates a slider with no effort at all. No plugin is required for this. 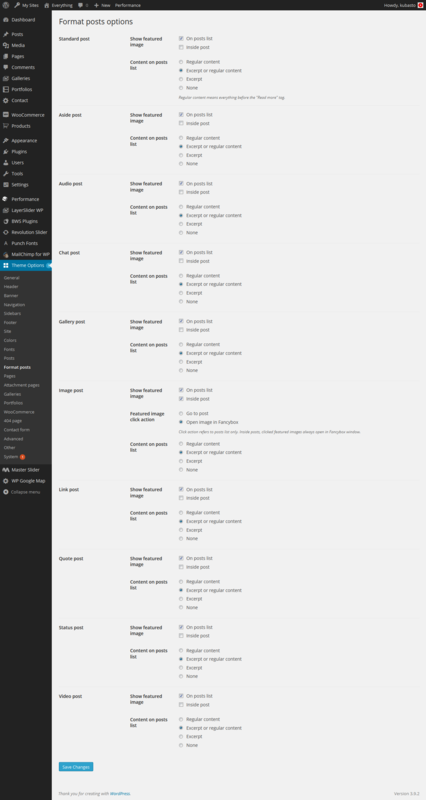 Build your menus hierarchically as usual and decide if you want them to be mega menu style. If you want menu items with icons – no problem too. 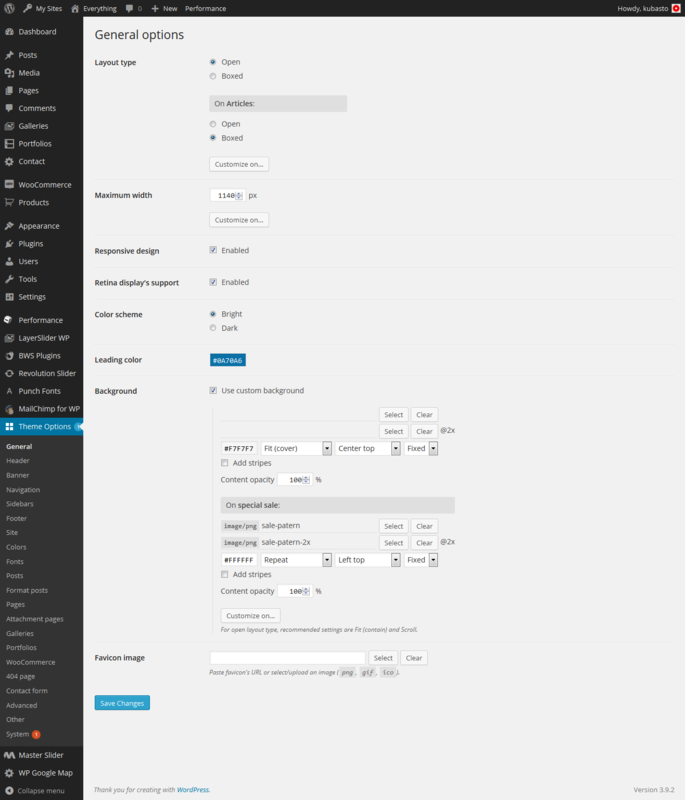 Custom background for the whole site, for some part of it (for example just for blog) or for a specific page only – no problem. 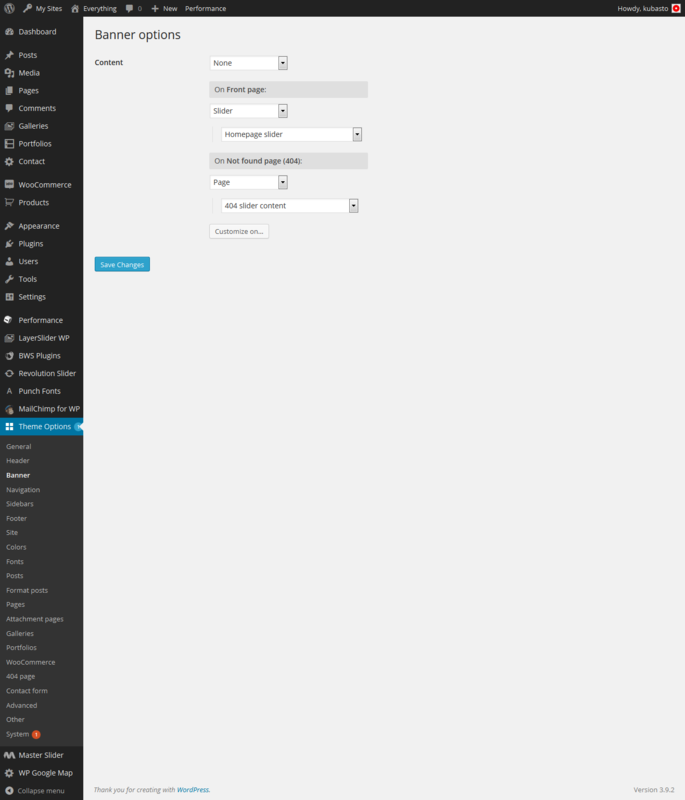 Additionally content opacity can be set at 0-100%. Fixed to the top, transparent, shrinking – these are 3 main options to play with. 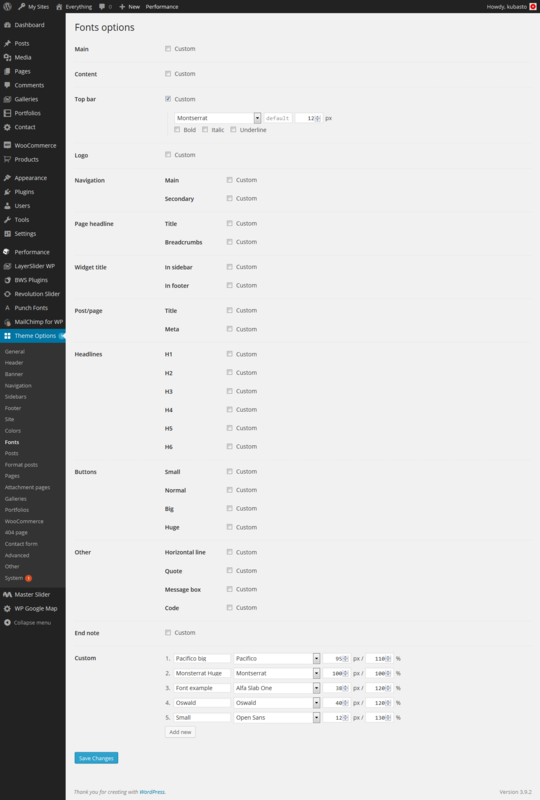 Header menu, top bar menu, secondary menu – these options add even more customization options to the header. Colors are easy to change too, of course. 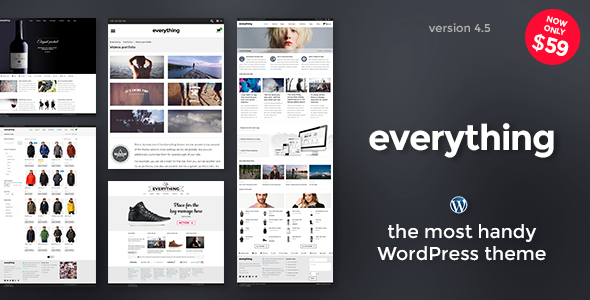 Watch a few examples of headers created in the Everything theme. 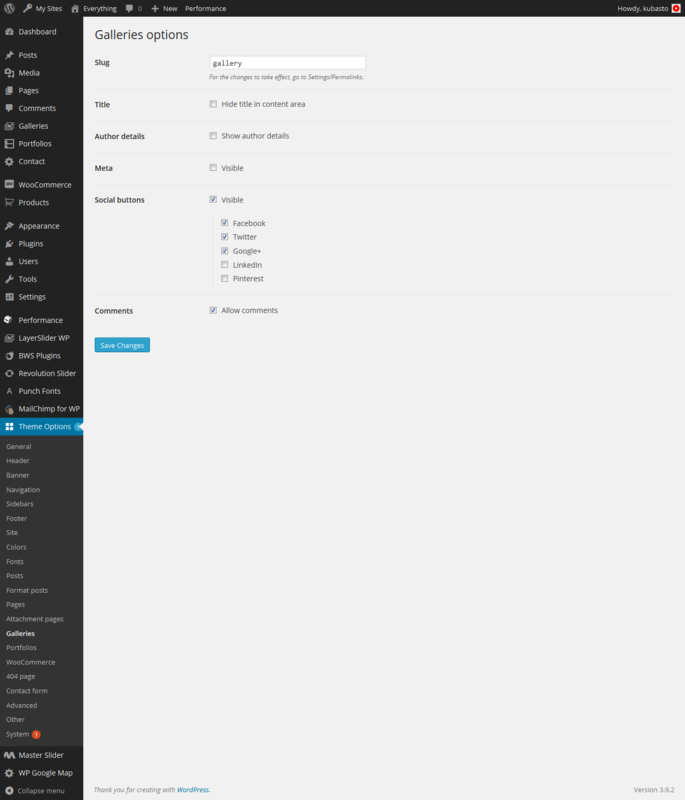 You can have a multi-language site with Everything theme. 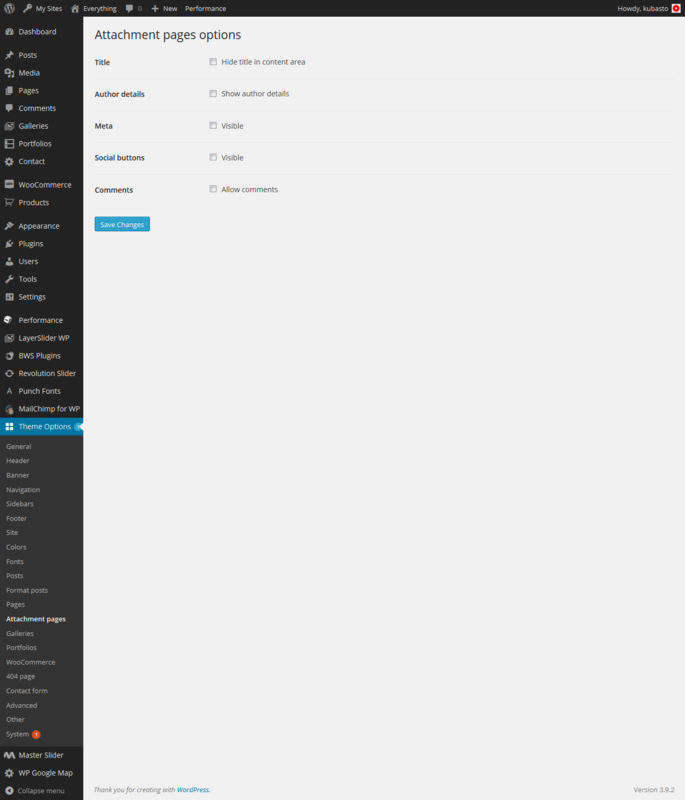 Polylang plugin and WPML plugin are fully supported. Additionally, if your WordPress is in English, Spanish, German or Polish, you’ll automatically see all theme settings in the dashboard in your language. Classic or masonry? One column or more? Sidebars? 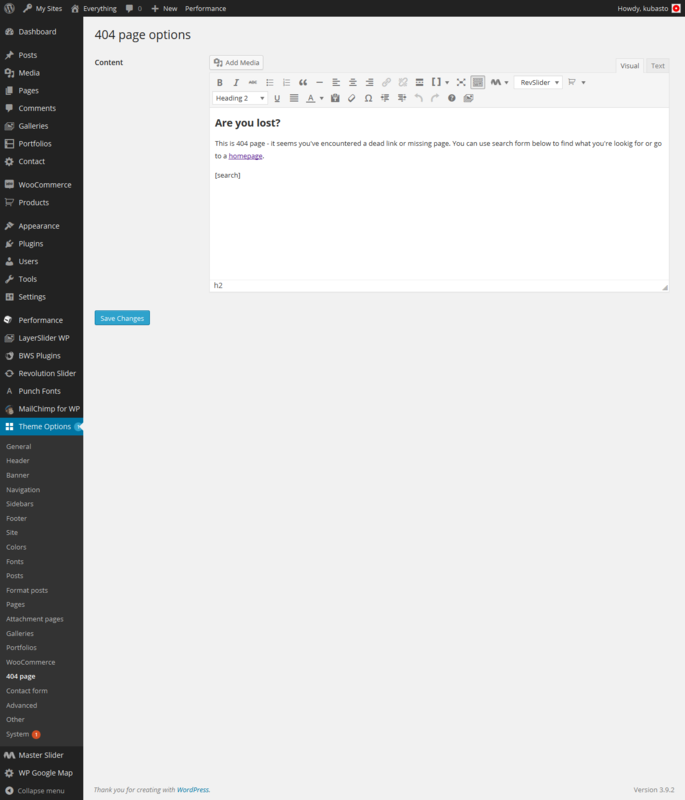 You can customize it individually for each blog (you can have many blogs on one site). 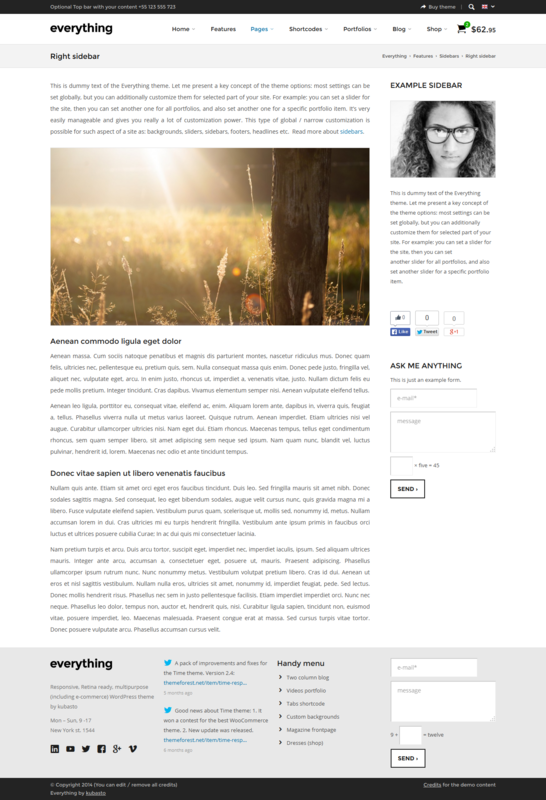 Meta data, social buttons, author bio – select what you need. All post formats are also nicely supported (audio, gallery, quote, status, etc…). Portfolio items can have any content. 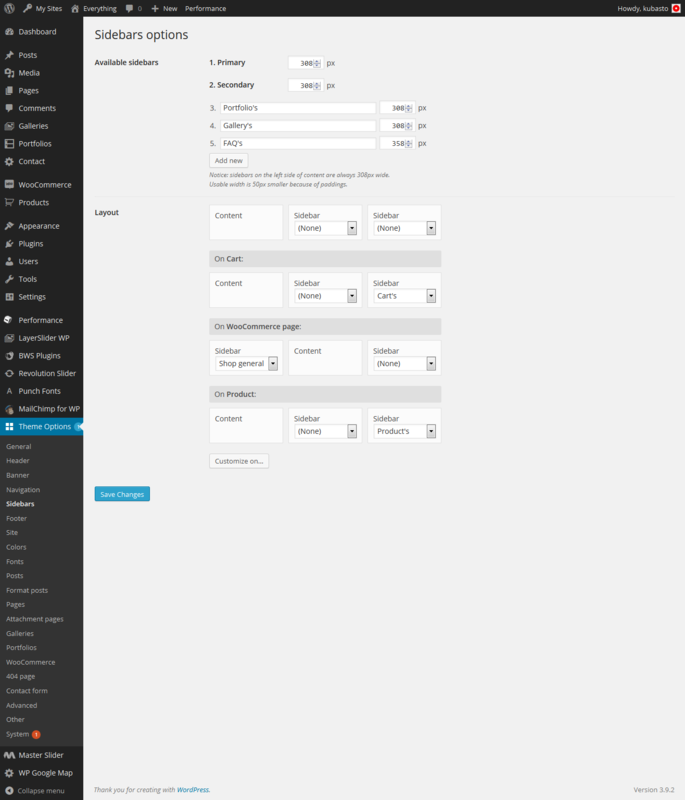 And you can use those items to build portfolios, which you can style many different ways. 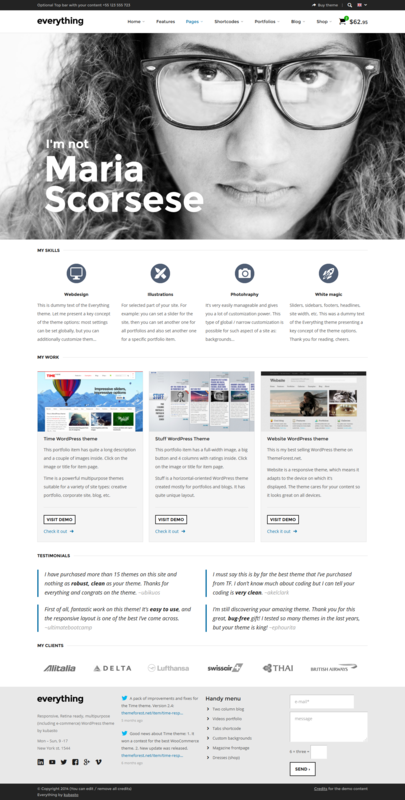 Have a look at a few examples of portfolios on the demo site. Full Google Fonts library is available, but you can also upload your fonts and use for anything on a website. Everything theme has a built-in simple and efficient shortcode assistant. 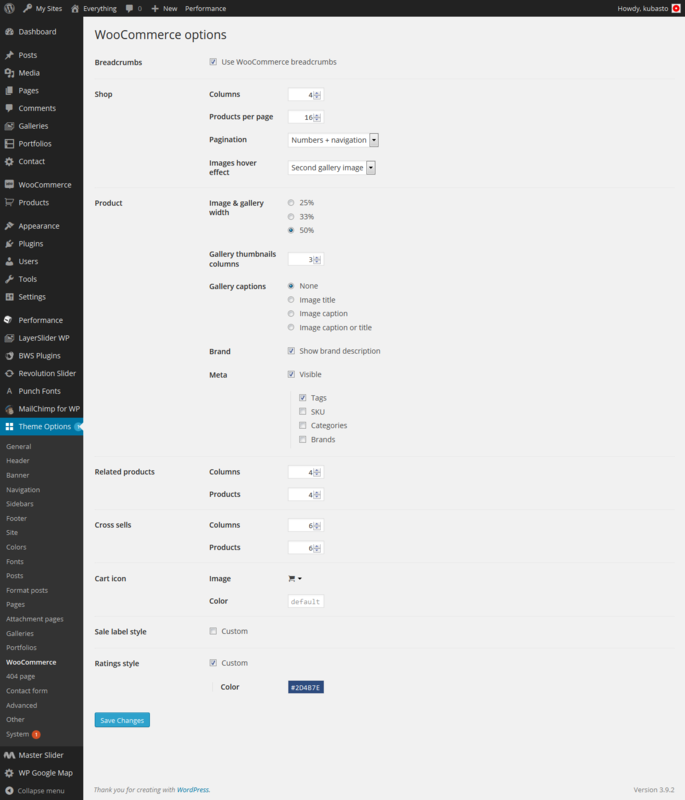 If you prefer using the Visual Composer plugin – it’s fully supported (but not included to the theme). Of course, editing shortcodes as a text is also possible. It’s quite a unique feature and a great way to present important things on your site. Any number of tabs can be created this way. Have a look at more Super Tabs examples. There are hundreds of vector and graphic icons (in a few sets) included in the theme and you can upload custom ones to media by yourself, so you can use them the same way as the built-in icons. 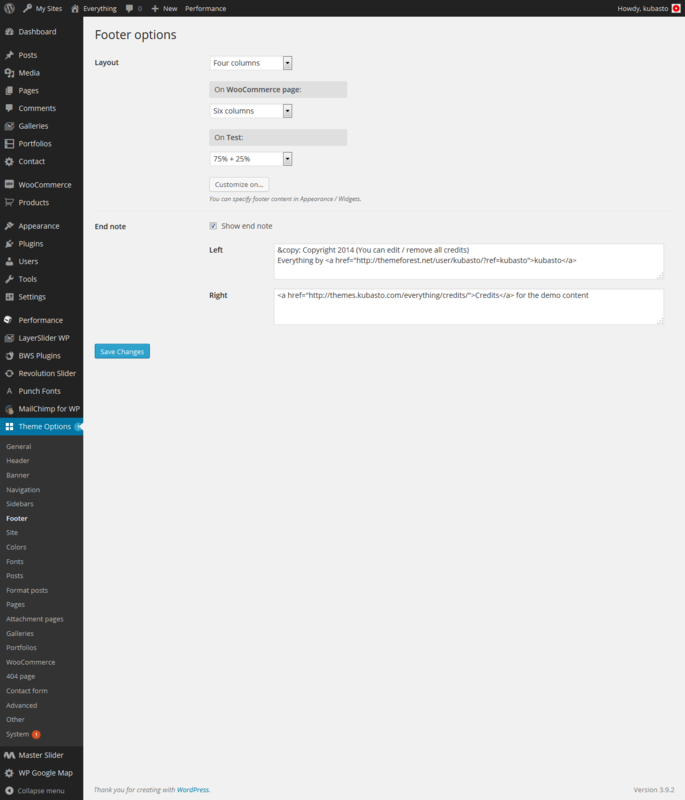 Item includes also a WordPress install files with a clone of the theme demo site included. 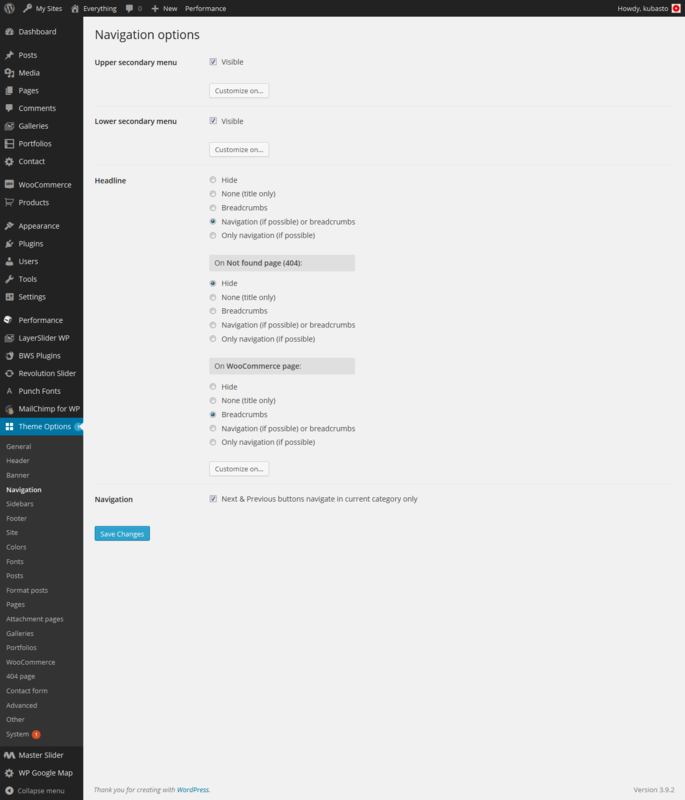 So you just install WordPress as usual and it’s already with the whole demo content and all settings identical as on the demo site. 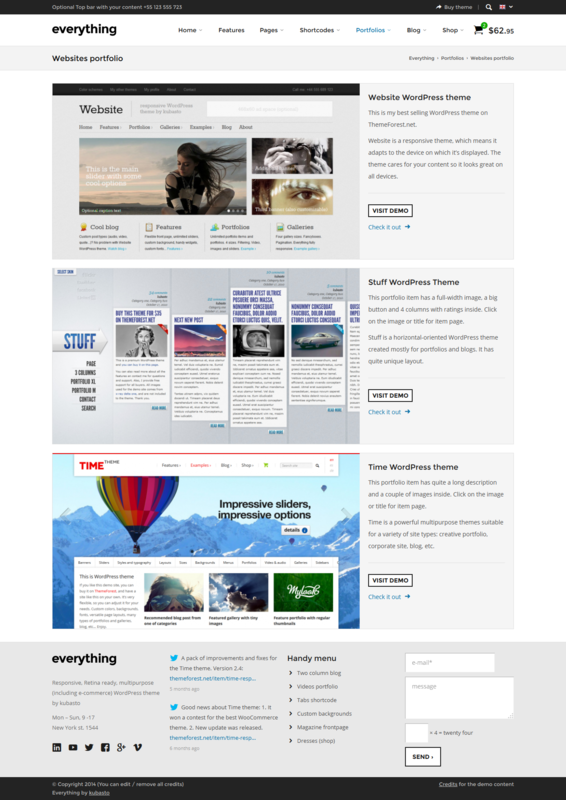 You can use it as a base to build your site. Notice – images are replaced by placeholders due to licenses limits, but the whole structure is the same.